It’s one thing to lace up your shoes and run in a 5K event. It’s another thing entirely to administratively run one, especially if you’re a teenager otherwise preoccupied with prepping for your senior year of high school. 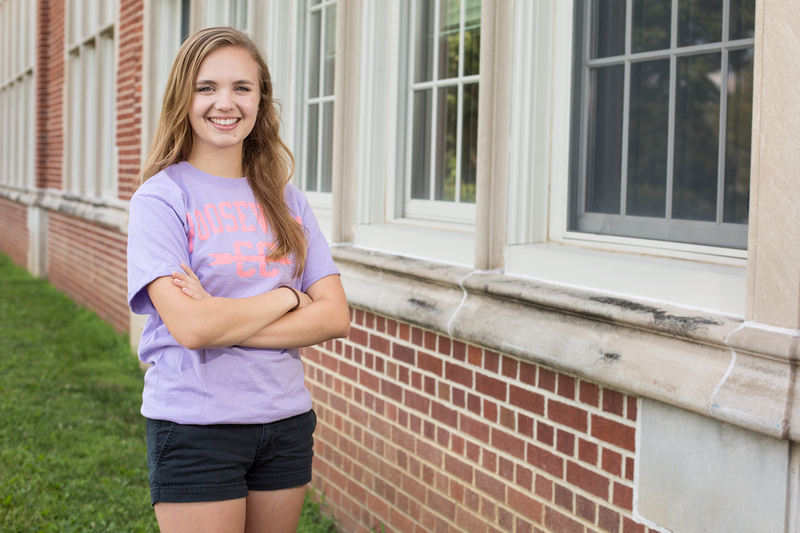 Nevertheless, that’s exactly what Roosevelt High School’s Rebecca Osthus is doing this summer. The race is the Polk County Clover Dash 5K and it takes place on the Iowa State Fairgrounds during the Polk County Fair. It was created last year with proceeds going to support Polk County 4-H youth in memory of Joy Niklasen, former Polk County 4-H Youth Coordinator, who died in a tragic automobile accident in 2014. Roosevelt is not a school that typically comes to mind in connection with traditional 4-H programming. But Rebecca’s roots in the program go back to when she was in 4th grade at Hillis Elementary School. Her mother grew up in rural Iowa, in Manning, and recommended 4-H involvement to her big-city daughter based on her own personal experience. So Rebecca signed up for Clover Kids, a branch of 4-H aimed at elementary-aged children. People tend to associate 4-H with agriculture and animals and those traditional aspects will be much in evidence as usual at the county fair which runs from July 20-25 at the Iowa State Fairgrounds. But in a broader sense 4-H emphasizes goal-setting and character development and Rebecca’s memorial to Niklasen demonstrates plenty of both. She runs cross-country at Roosevelt and expects that many of her teammates will use the Clover Dash for part of their summer training. The race is scheduled for Saturday, July 23 at 8:30 A.M. The route begins and ends in front of the 4-H building at the fairgrounds. Online registration is available at: www.GetMeRegistered.Com/PolkCountyCloverDash. For race information, course route, and mail-in form go here: www.mathaddsup.com/PolkCountyCloverDash. Volunteers can sign up at: www.signupgenius.com/go/30e0848a5a923a6f85-polk. The inaugural race last year drew 230 participants and 70 volunteers. Thanks to Rebecca’s efforts to secure sponsorships, proceeds in excess of $8,000 were used to fund college scholarships for 4-H seniors and otherwise promote 4-H programming. Larry Osthus is Rebecca’s father and he has an understandably hard time keeping up with his galloping daughter. With a couple of 5Ks under her event-planning belt, staging her own grad party next spring should be a walk in the park for Rebecca.